A "wicked smart" forensic accountant. A covert government agency. A complicated romance. A gang of friends that helps solve puzzles and uncover truths. Rome, Boston, Milan, Naples. And lots of great food along the way. The Roma Series features Alabaster Black - living in Italy under the alias Bianca Nerini. She has left the employ of Rendition - a shadow agency that recruited her years ago to uncover certain truths about white-collar criminals they targeted - and punished in their own way. Gabriel Valjan lives in Boston, Massachusetts. He is the author of the Roma Series, available from Winter Goose Publishing. Gabriel has also written numerous short stories and essays found online and in print. 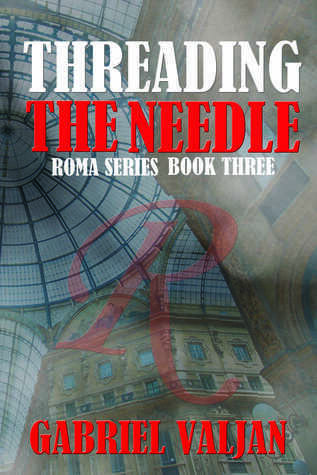 Threading The Needle brings us back to Italy with Bianca (Alabaster) and friends. with a murder and keeps on rolling from there. Murders, conspiracies, and thrilling suspense that will keep you turning the page. I look forward to reading Book Four in the series. And now the Giveaway . . .